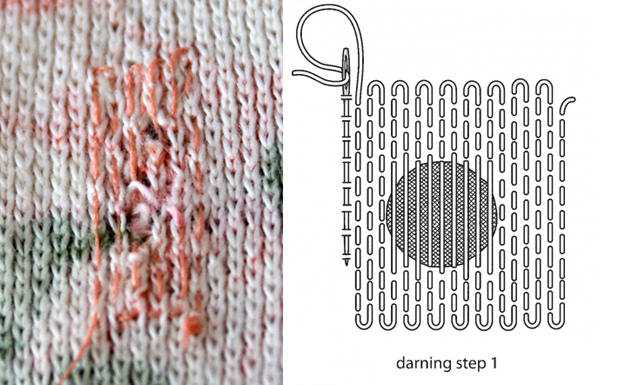 So here's an old technique - darning holes. 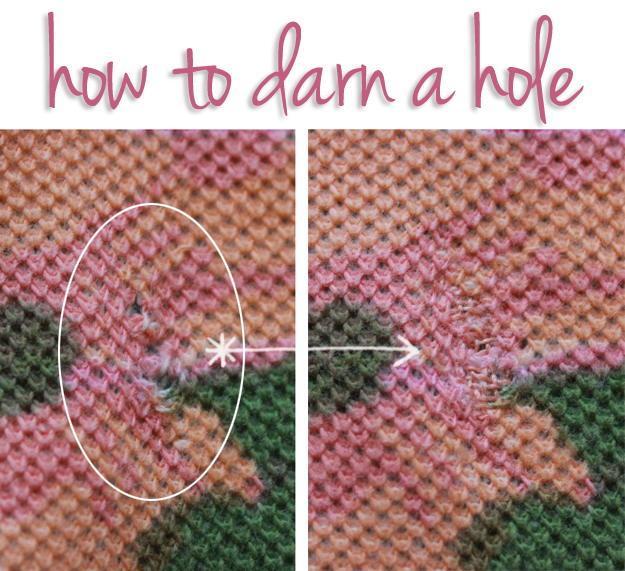 I've actually never darned a hole before. This fabric pictured above belongs to a cute little jacket and once I got it home, I realized there were a few smalls holes running along the front. 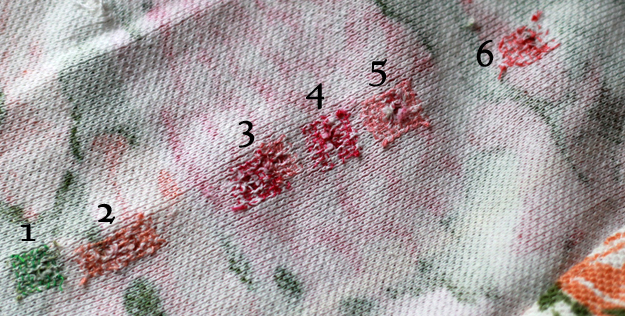 I thought I'd try my hand at darning and did a bit of internet research to figure out what I needed to do. It seemed easy enough, but it definitely took me several holes to get the hang of it. Usually people darn holes in socks and use some fancy devices, but I'm not getting that complicated. I'm focusing mainly on the stitch pattern for non-stretch, non-curved fabrics. This is fairly simple and easy with a bit of practice. You will make rows of vertical running stitches. The fabric I was working with is somewhat oddly textured (and of course my holes aren't perfectly round) so I think the drawings make it much clearer. You want to make the rows close together and extend beyond the hole a little bit. I wasn't sure if I needed to double my thread - I tried single and double and with the small holes I was mending, the single thread seemed to work better. Also, I am working on the wrong side of the fabric. Now, you will repeat these stitched horizontally, weaving under and over the vertical rows. Tie a knot at the end and snip. My example is a little rough, but it looks fine from the outside. I actually hand-stitched several little colorful darned holes on this garment (viewed from the back side). Come back tomorrow to see this full jacket! Nicely done Mary Ann! And I love how you laid out this post. I am sewing-challenged, but I think I could actually attempt this. I usually just give up clothes with holes in them, so I really should give this a go next time! 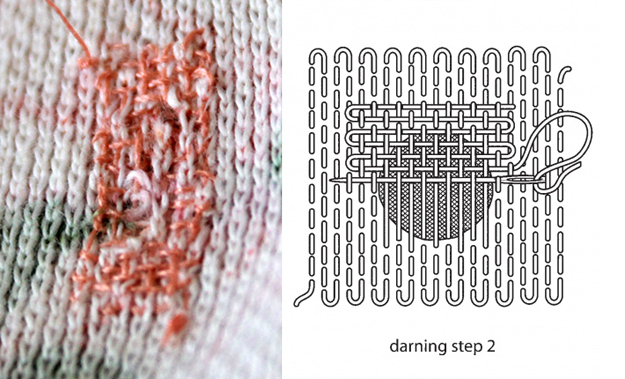 I didn't even know about darning holes until this post! This is very helpful! Thanks for posting!